Brennley Brown from Team Gwen sings ‘Anyway’ on The Voice Season 12 Top 10 Live Shows, Monday, May 8, 2017. “You’re inspirational to a lot of young people out there. I think your voice has never shine brighter today and next week,” said Blake Shelton. “You were so gifted, beautiful and talented,” said Gwen Stefani. 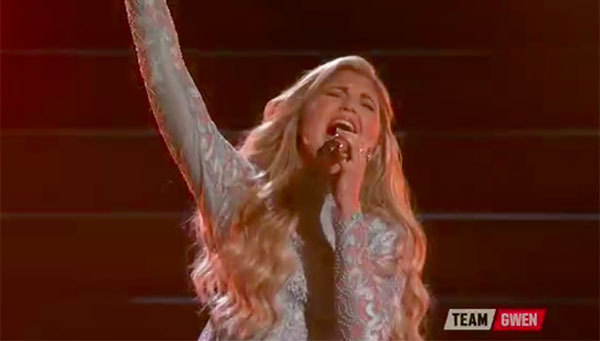 Did you like Brennley Brown’s performance tonight? Share your thoughts on the comment section down below.